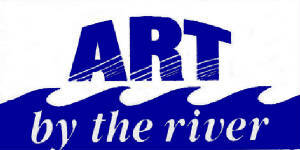 ART by the RIVER, which is held annually the weekend before the Labour Day weekend is the major fundraiser for the Gibson Gallery. This Arts and Craft Festival, which was was first held in 1967, is Essex County’s original Arts & Crafts Show. It has grown into an end of summer tradition in Amherstburg, attracting 160 artists and artisans from across Ontario. 2018 will be the 52nd year of this event! NO PETS please-service animals ONLY allowed on site.